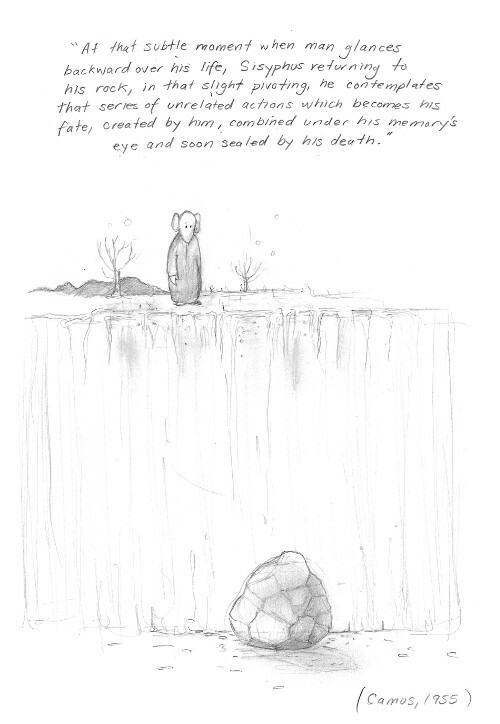 This entry was posted in Philosophy and tagged "At that subtle moment when man glances backward over his life", camus myth of sisyphus, philosophy webcomic, simon and finn, sisyphus rock by simonandfinn. Bookmark the permalink. Deep quote. Good illustration. I love how both words and images can both be sculpted into deep, beautiful expressions of meaning.